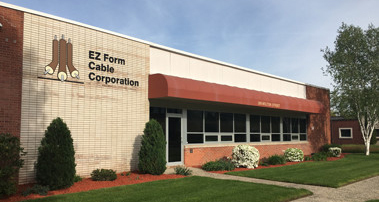 EZ Form Cable’s Corporate headquarters in Hamden, Connecticut. 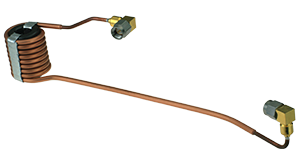 EZ Form Cable Corporation is an AS9100D certified manufacturer of Coaxial cable, Coaxial Cable Assemblies, RF Connectors, and Coaxial Delay Lines. EZ Form RF, microwave, and millimeter-wave transmission line solutions offer proven performance for critical applications in Mil/Aero, Telecommunications, Medical, Instrumentation, and Test. EZ Form cable offers best-in-class customer service, that is flexible, and responsive, from rapid quotations to lead times that are the shortest in the industry. Ask us about our QRC program (Quick Reaction Capability). Simply stated; EZ Form’s value proposition is based on providing a quality product, for the right price delivered on time.